Tell us how much you pay per bit and byte for your broadband. I think Jim had a good idea of sharing the info. I want to invite other providers to do the same. The Coalition has a broadband cost analysis spreadsheet that you can use to calculate the unit cost of your broadband. Email it to me (atreacy@treacyinfo.com). Or complete this form with the info you have. 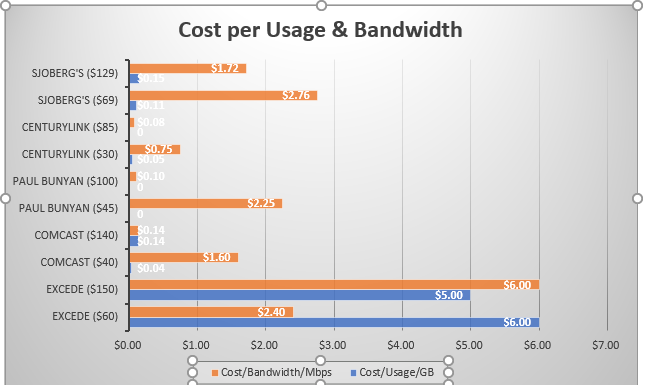 I’ll compile all submissions and we can share a more complete picture of comparative broadband pricing.